I went and saw X-Men: Days of Future Past today, and even though I hit up the 3D XD screening and paid the crazy bucks to see the over-priced screening*, I came away without a single complaint about the money spent seeing this latest chapter of the X-Men film franchise. The front part of this movie review is a non-spoiler chat, leaving as many details as possible out while discussing how I feel about the movie. Afterwards, I chat about a few things within the story, under the spoiler moniker. After that, let's chat about that end-credits scene! My first comment is that I am not an X-Men franchise fan. It's entertainment for the lulls between some of my other favorite franchises. 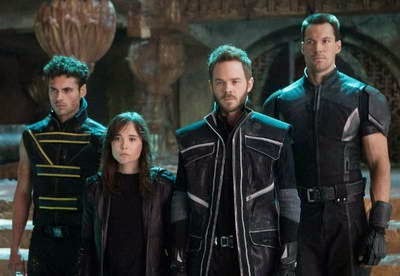 And this time around, Bryan Singer directed off a script by Simon Kinberg (Jumper, Sherlock Holmes, X-Men The Last Stand) and to be honest, they found the perfect combination to mix story elements with action elements and made the film experience a very entertaining theater experience. The film pulls together the various generations of mutants, as they battle evil across the ages as it opens in the far future, where automated machines called Sentinels are rooting out all mutants. 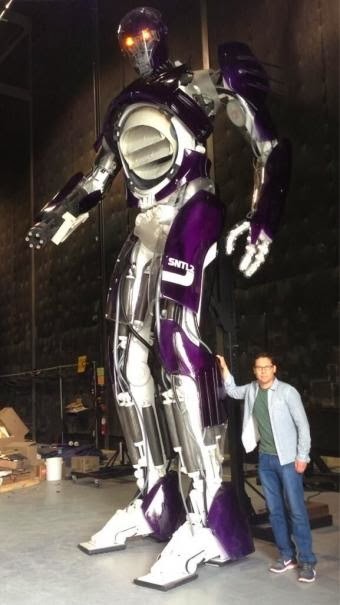 The Sentinels are designed to defeat all mutants by gauging their power and countering it. Thus, they are the ultimate and unstoppable mutant killing machine. Mutants are up against a wall, and their last ditch effort is to send someone back in time to prevent the development of these killing machines and to fix this horrible dystopian future they find themselves in. All they need to do is divert certain actions or events to save themselves in the now. The future. But as we learn or not learn, time is like a river. Sure, you can divert the water around some object or block, but it seems to always find its way back on course. It's an uphill (uptime?) battle as we follow the story both in the future and the past (early 70's), as events unfold. Past events slowly impact future events, and to be honest, as the story moves forward, the mix of action and story was sublime. Not too much of one or the other, and PLENTY of both. Notable performances came from Jackman, McAvoy, Fassbender, Dinklage and believe it or not, Evan Peters as Quicksilver. The ensemble was great, but these five pulled the story forward wonderfully. Jackman was unusually non-stoic, but more emotional than ever before. Though that's not hard, considering. McAvoy showed us a side of Xavier I've never seen before. The formative years of when he cemented his beliefs that everyone is good to one degree or another. 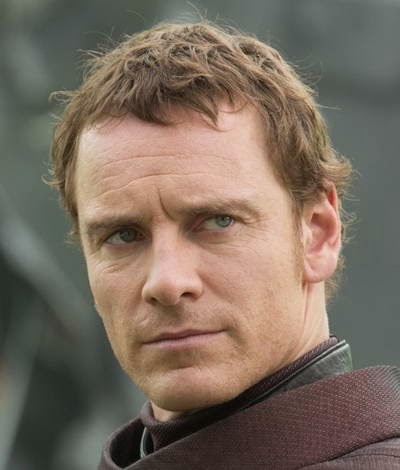 Fassbender exhuded the power of Lenhsherr like never before, showing just how powerful he is. Dang. 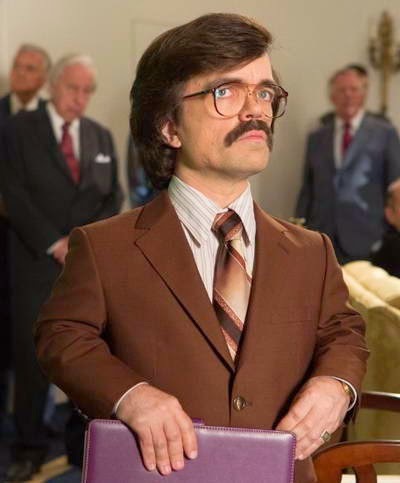 If you love Peter Dinklage, you will love Peter Dinklage as Trask. If you don't, you will. His onscreen presence is always an enjoyable experience, regardless of who he plays. Be prepared for Peters as Quicksilver. What a pile of fun he turns out to be. I liked his style. I can't wait to see how Marvel portrays the character with a different actor. If I had to give the movie a score, I'd give X-Men: Days of Future Past a popcorn-10 score! To be honest, if it weren't a fantasy/sci-fi flick, I'd dare to give it a dramatic 9 score. But I have to stick to my guns on this, and stay with the popcorn score. It was well worth the stupid amount of money they charged me for an XD (large format) 3D movie. I had 13 3D options while there are only 8 2D options at my local theater. The movie was FUN in 3D, but as with any good story told, it's entertaining enough to not need it. But when you have a lot of visuals/CGI, 3D can be fun. You can't go wrong either way you choose to go. This movie was an interesting spin on what has been put ot film for the X-Men franchise and seemingly, what 20th Century Fox is looking to fix in the past films by tinkering with details of the film franchise, much like when Abrams rebooted Star Trek, sticking mostly to canon while remolding some details to bring the franchise forward in a more acceptable fashion to modern day movie-goers. In Days of Future Past, Professor X and Magneto (Stewart and McKellen) have come to understand the mistakes they've made in the past by being enemies. 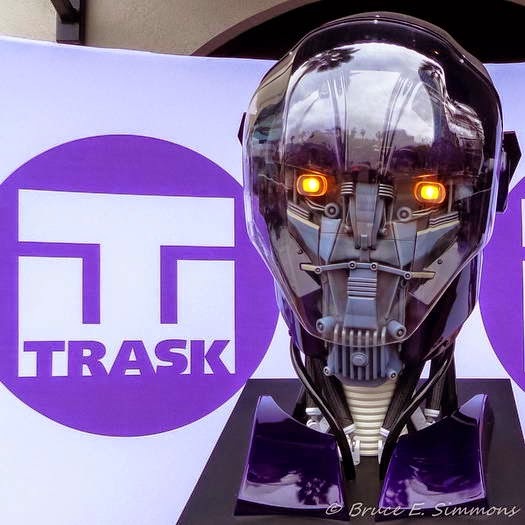 But that's all moot, as Trask Industries Sentinel creations are wiping out all mutants and humans with mutant potential from the face of the Earth. The Sentinels are unbeatable because in the past, Mystique's DNA was used to ramp up their abilities, making them adaptive to any power they come across. X and Mags decide they need to send someone back in time to prevent Mystique from being captured, and hence, her DNA being used by Trask to modify the robots. It's not Logan's body but his mind that they send back, to occupy his body in the past. He's sent back to a time that takes place after events in First Class. They've replicated the early 70's rather well... sadly, as Logan is forced to drive a Riviera around town. OMG, yes, I knew what that car was. It's here/when, that we see just how events of First Class have demoralized Charles (McAvoy) and how low he's stooped emotionally. And how Logan helps him dig up out of this deep trench of emotional despair. Sadly, they need to break Erik out of a crazy prison where no metal is allowed, and they do so with the help of Quicksilver. Who is a total hoot. Well, becomes a hoot once you get past his annoying introduction. And once out, it's amazing the amount of power he weilds, considering all metal is at his command! Dang! Yes, Fox is coming along nicely with what was once a very fragmented film series and moving forward with their new and more cohesive telling of their stories. I loved how they moved the franchise forward with new details while still showing and paying homage to other, older aspects of the movies. Now, we can get some decent flow from movie to X-Man movie. Inconsistencies or Just Simple Fixes in the New Timeline? Yes, Prof X is alive. But wasn't he vaporized a few movies ago? Yes. But if you stuck around for the entire series of credits during a previous movie, you know his essence was transferred into the body of a man in a coma. So that's covered. Did you notice that future Logan had his metal claws while old Logan had his bone claws? 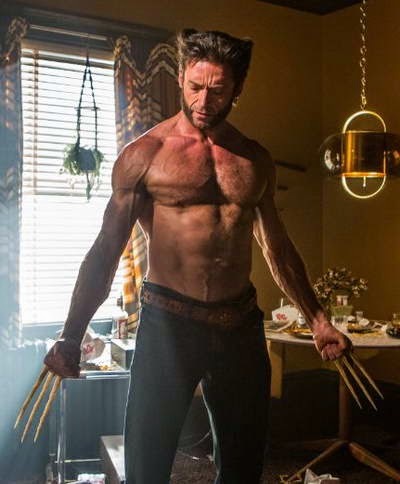 If you dwell on it, we know that in the latest Wolverine movie, he loses his metal and only has bone claws. In that movie, he also had his claws broken off. I am going to presume that since he heals, his claws restored themselves. And as time evolves, it's obvious that Logan will once again regain his metal skeleton. If you were paying attention, did you notice Kelsey Grammer once again assuming the role of the older Hank McCoy/Beast in the closing scenes? If you stuck around through the entire credits, you watched an interesting scene where an individual seems to be in ancient Egypt, buildng a pyramid with a serious amount of telekenisis. There are four men or persons on horses watching him while the locals are paying worship to him while he floats pieces of a pyramid around, building it. Many fans in the theater were confused by the scene, they didn't know who that was, and they were walking away scratching their heads. Did you know that Bryan Singer's next X-Man movie project is X-Men: Apocalypse. The figure on the dunes, manipulating the pyramid was probably Apocalypse. But was that Fassbender? Apocalypse can inhabit or possess folks. We'll see. Dude, what do you mean Logan was "forced" to drive a Riviera? That car was sweet. Always loved that boat-tail rear window. LOL anon! He, I thought it was a great throwback car to have him drive! But the look on his face seemed to say it all. Thanks for coming by! does anyone know the year of this car that logan is driving? Rosa, my guess is a 1973 Buick Riviera, considering what year Logan travels back to. The Guards in X-men Days of Future Past is a terror to those mutants. Classic ride. Would love to have one parked in my garage.